Hi there, my darlings! 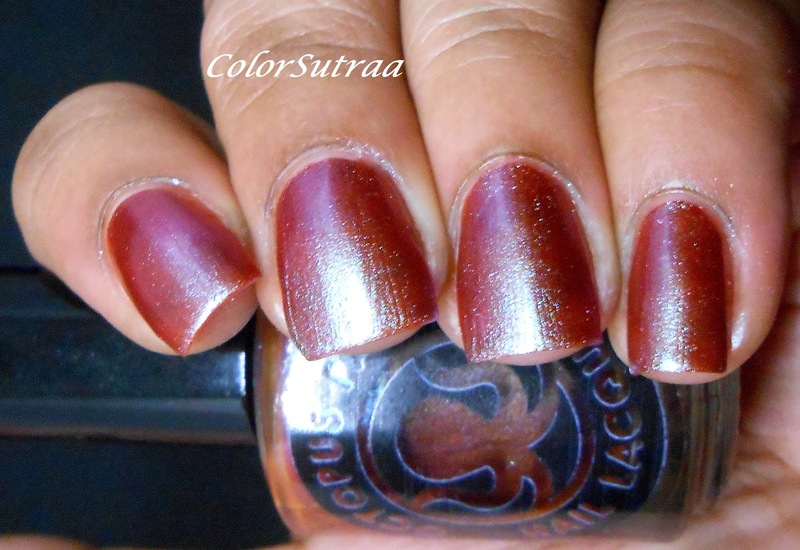 This morning, as always, I'd like to share with you my review of a product from this week's Friend-An-Indie-Friday sponsor, Octopus Party Nail Lacquer. Dave sent me the same polish that he'll be giving away to 3 lucky winners so I hope you all are excited to see how this polish looks on me! Shore Fire is a duochrome polish that shifts from a burnt-orange to a fiery red to a bluish purple, depending on the angle of the light. I had no complaints with either the formula or the application--the polish went on smoothly was was opaque in 2 easy coats, as the swatches below show. 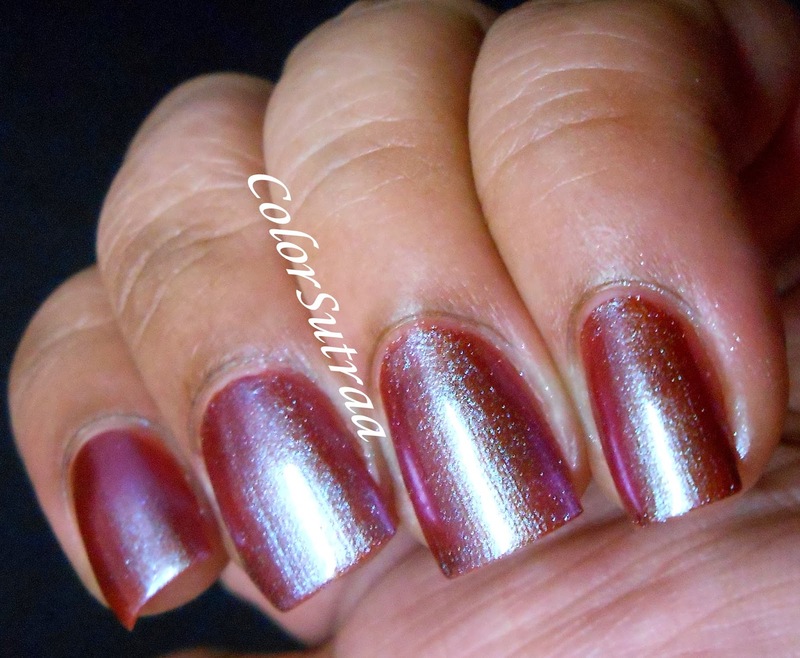 I topped the swatches off with one generous coat of ellagee's Fast Dry Top Coat to finish the look...and voila! This is such a fascinating polish--I do believe I spent several, slack-jawed minutes just to stare before I got any work done! So there you have it, my darlings! If you would like to add this or any of Dave's other creations to your stash, you can find them HERE for the price of $10.00 for a full-size, 0.5 oz bottle. Remember to follow Octopus Party Nail Lacquer on FACEBOOK and on INSTAGRAM to see previews of all his other beauties and for the latest updates! What do you think? Love it? Hate it? I'd love to hear from you in the comments section below!